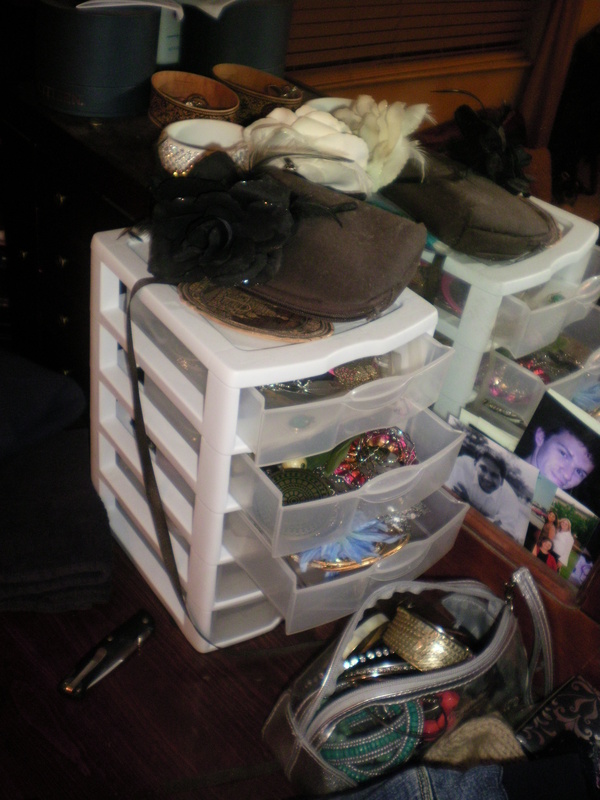 Creative and Affordable Organizing ideas!! 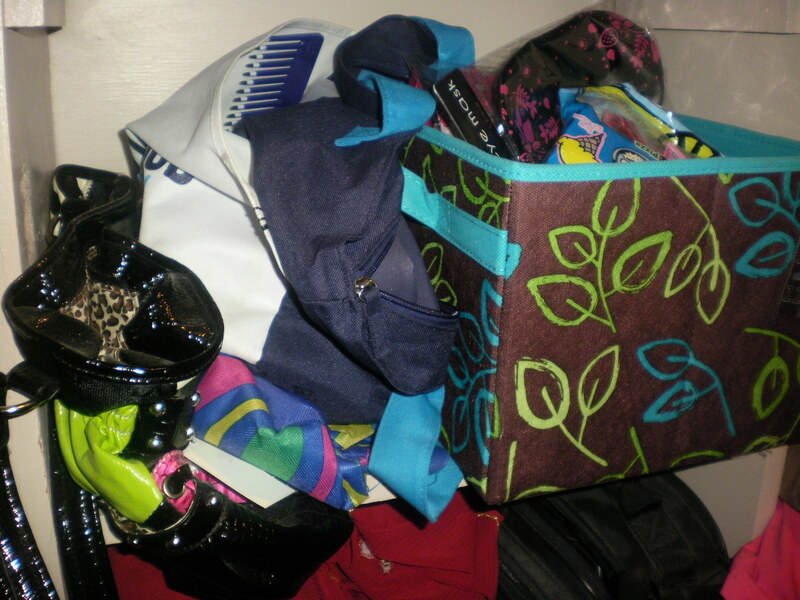 Purses in piles... almost can't even tell what this mess is! 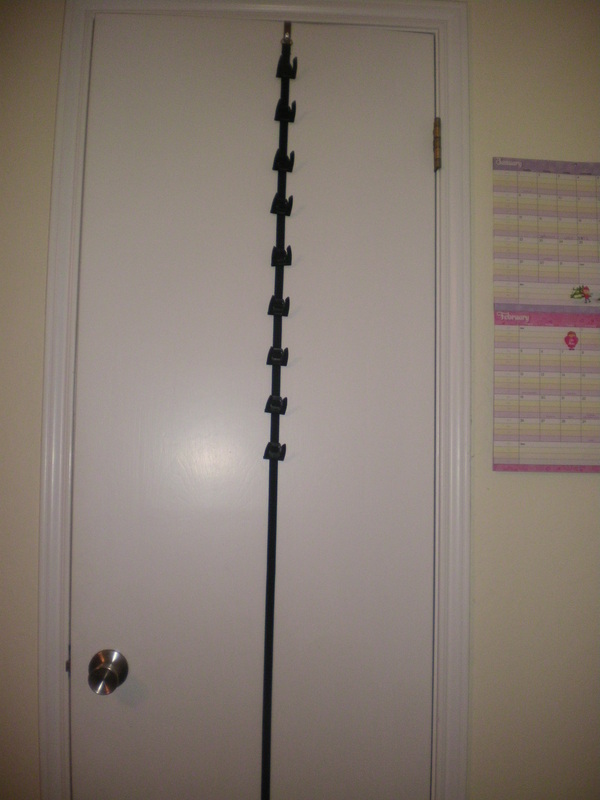 This is what the full length of it on the door looks like. It simply hooks over the top and under the bottom of the door, you can tighten the base strap and slide the hooks up and down. 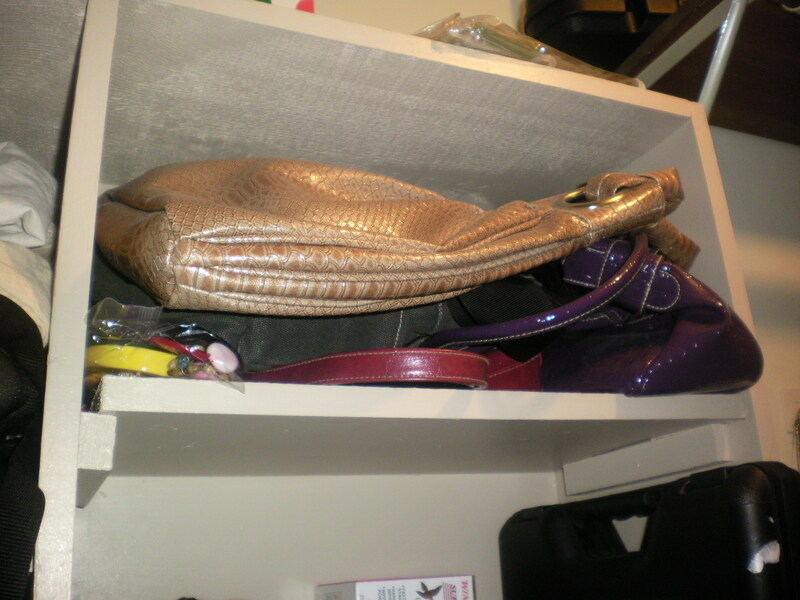 I found it in the home organization area at walmart, near the hangers, and other closet paraphernalia. Its amazing the goodies you'll find lurking in purse pockets when you take the time to clean them out. 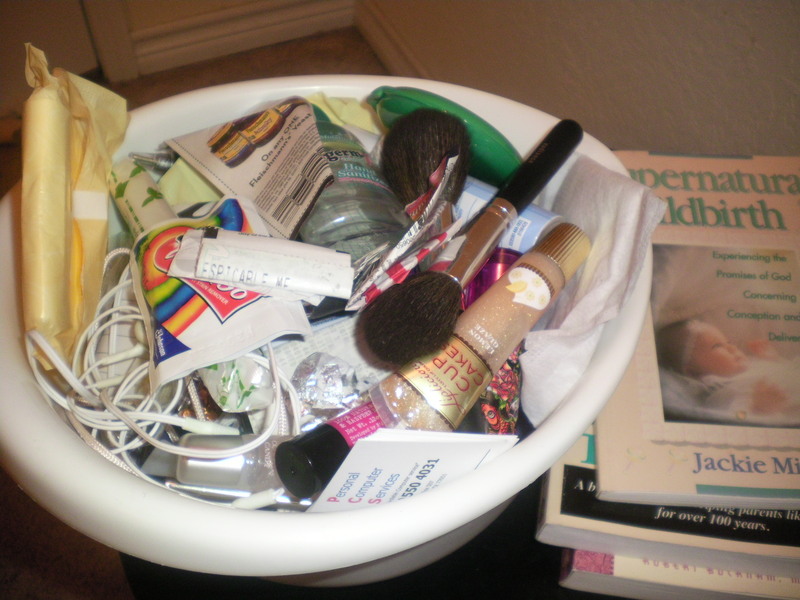 Confession: this bowl of knick-knacks (and lots of lipgloss!!) is still on a shelf in my closet! 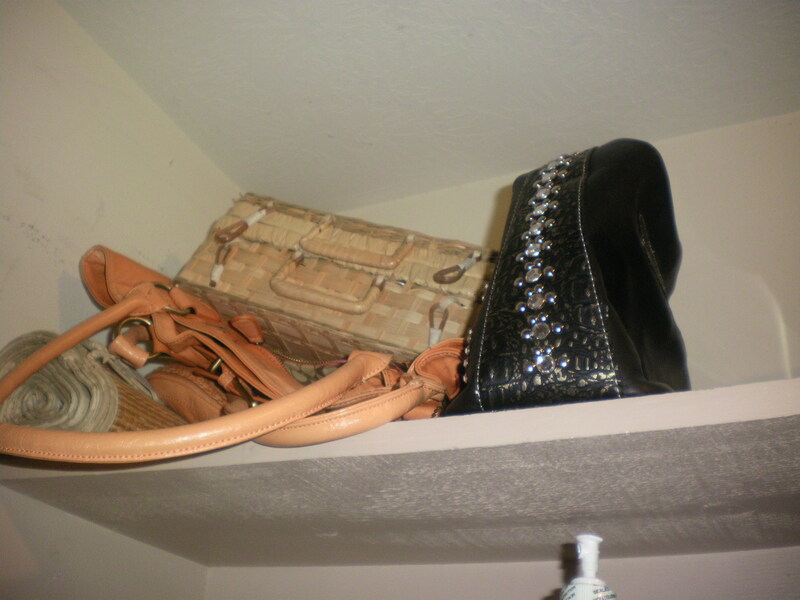 oops... Anyways, cleaning them out will lighten the purses for hanging on these plastic hangers. Ta-Da!! The finished product! 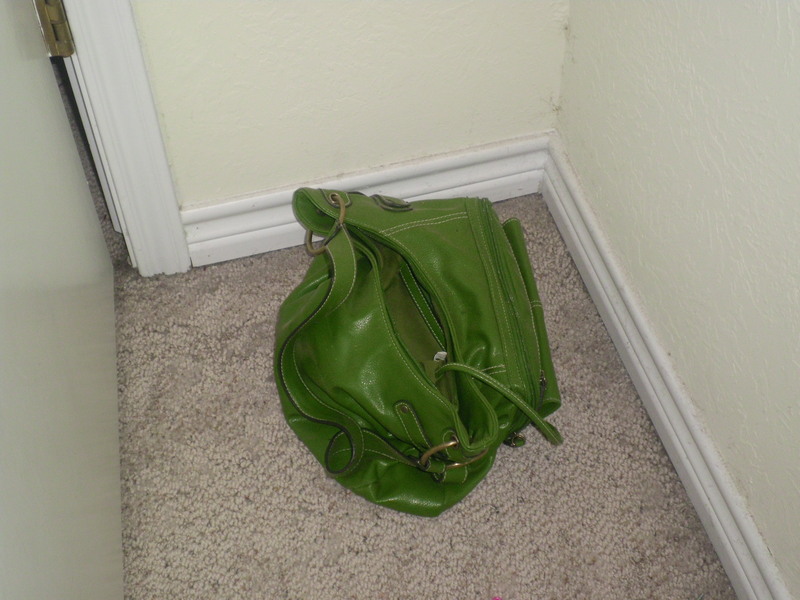 My purses were finally able to breathe, leave space in my closet for more "stuff", and be fairly out of sight. We usually leave our closet door open so they are invisible most of the time. 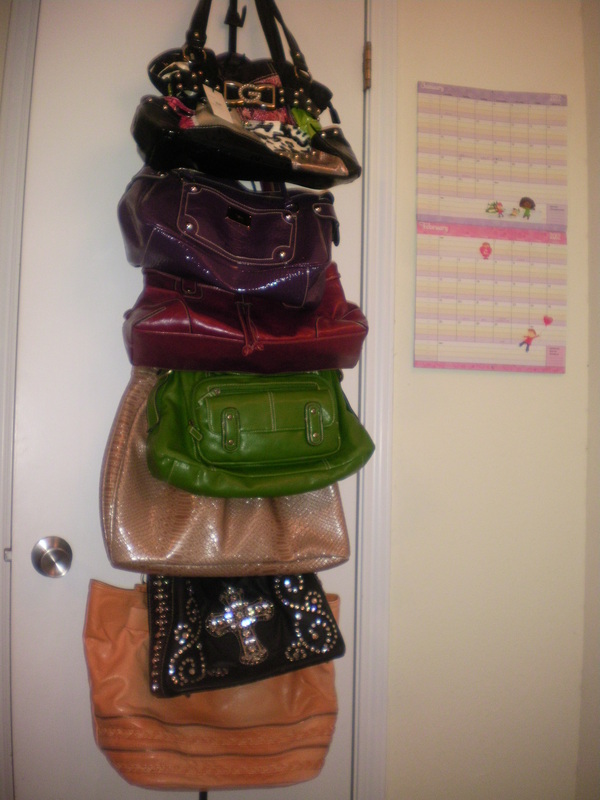 But even with the closet door closed, they look nice and orderly. 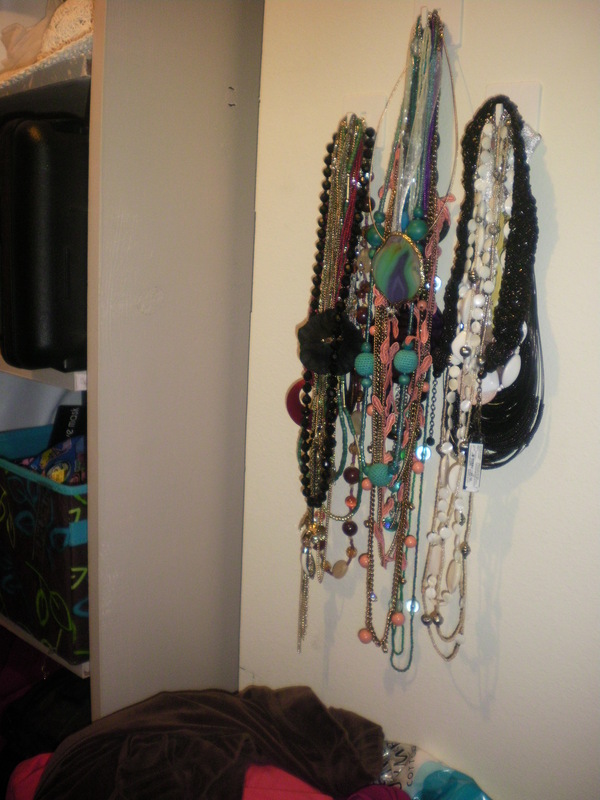 This is where I kept my earrings, some bracelets, and who knows what else. I think this is where I had some hair pieces and stuff too. This was a little box I got when I bought a BUNCH of cocktail rings in downtown L.A. for super cheap, and it became the gathering place for all my cocktail rings past and present. And some other things as you can see. This works out really well for hook earrings, which is mostly what I wear. 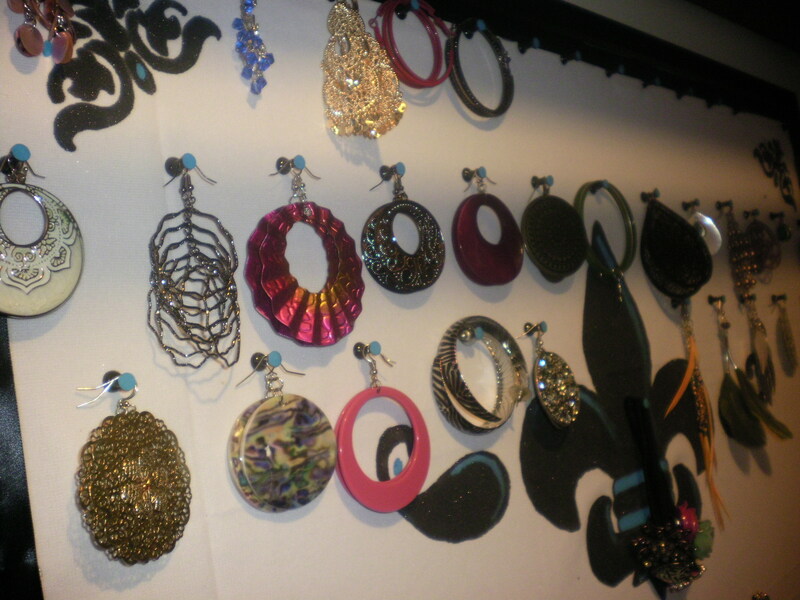 But I do have a couple pair of earrings that are large hoops and use earring posts instead hooks. Still figuring out what to do with those. 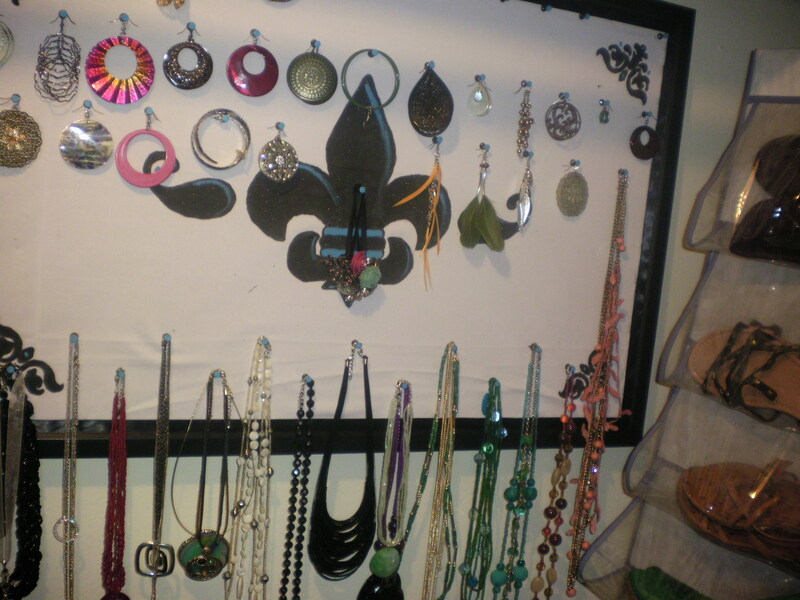 I might get a piece of lace and just hang it long ways down one of the sides of the board and hook the post-earrings in that. 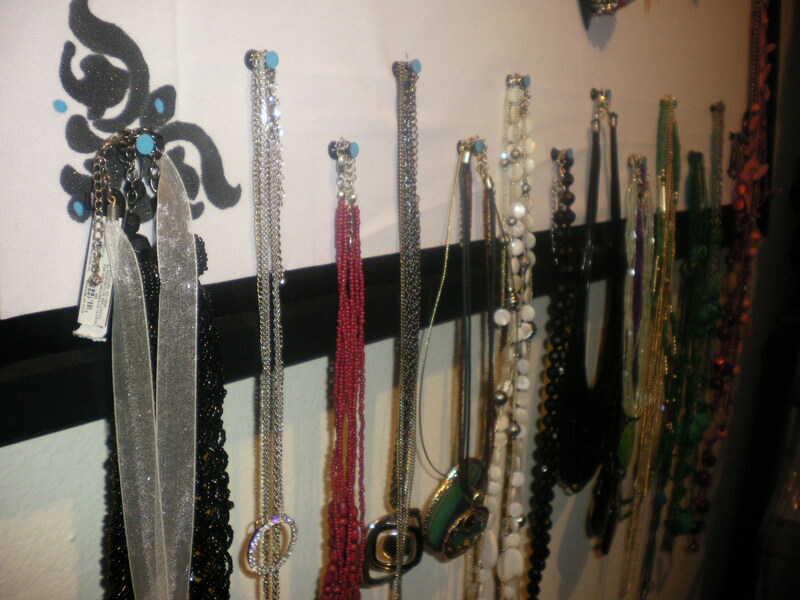 I staggered my necklaces and hung about 2 necklaces give or take, per tack. I also weeded down my collection and gave my older ones to my best friend's little girl. 🙂 She loved them! This was a great learning project and is definitely helpful and useful. Woah. That's all I can say is woah. At least this part wasn't too bad, but still, unusable, and no sense of what the heck is up there. I got all inspired and did a little at a time. First I went through all my videos (especially VHS) and got rid of a huge box. I wanted to get rid of ALL my VHS but had to keep some special ones. Magazines I wanted to keep went in Magazine files that I also ordered off abcdistributing.com. 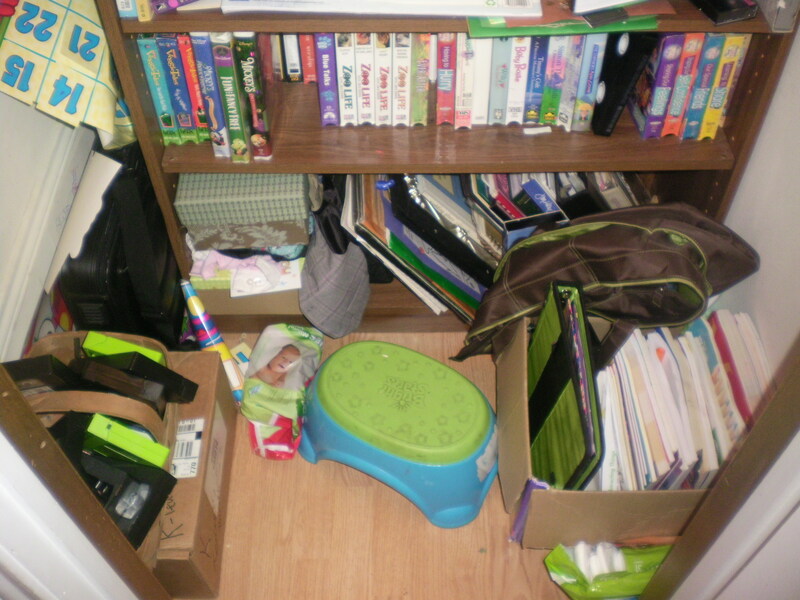 Then I just went through all the books and memory boxes and all that jazz and just plain chunked what needed to be chunked, moved to other bookshelves what needed to be moved, moved baby stuff to bedrooms, etc. Basically I was not afraid to THROW AWAY stuff!! Ta-Da!! Its done! 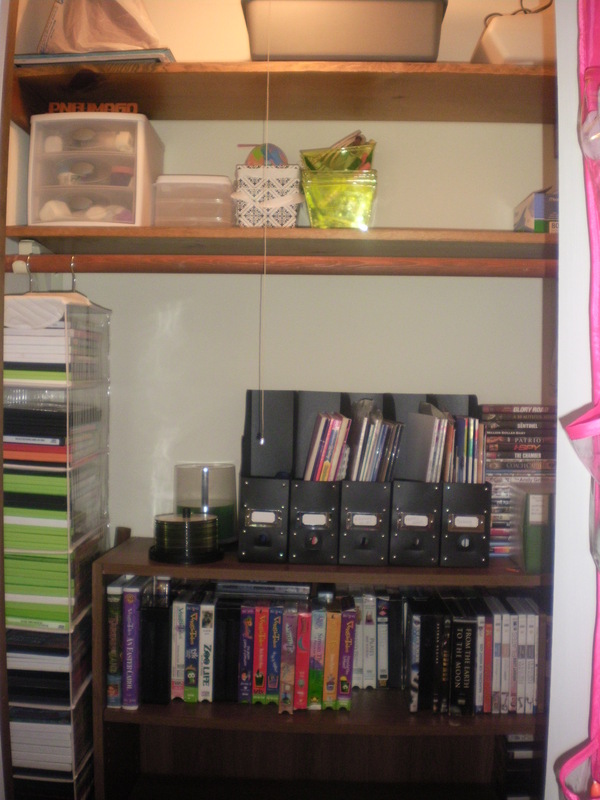 Finally all organized and cleaned up, and now we can actually USE what's in there!! 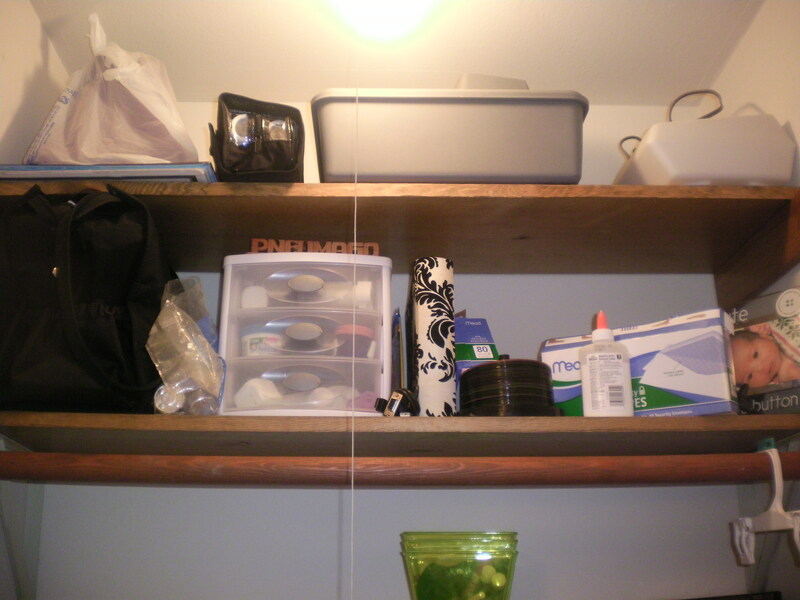 see, the top shelves have a better sense of purpose and organization here. 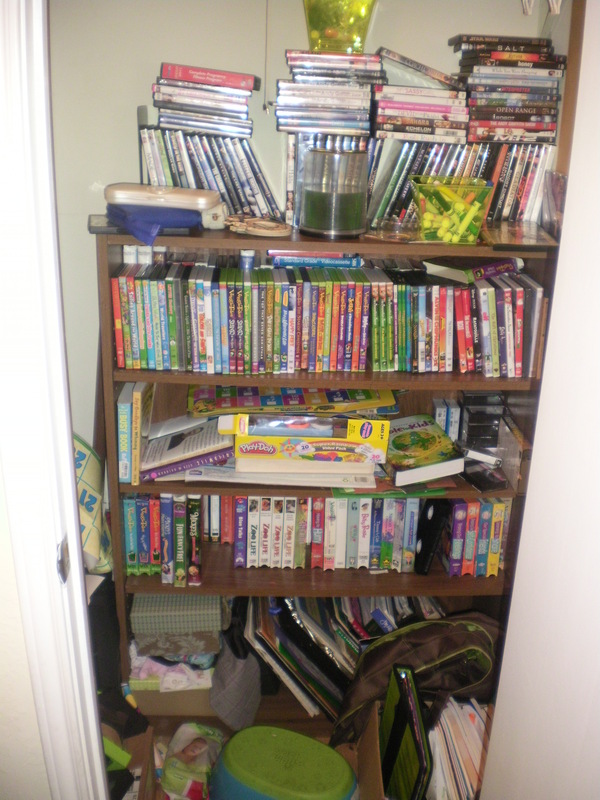 You can see next to the magazine files, a stack of DVD's behind the DVD album. That was while waiting for the second DVD album to arrive in the mail. All those cases are gone now and its cleaner looking. 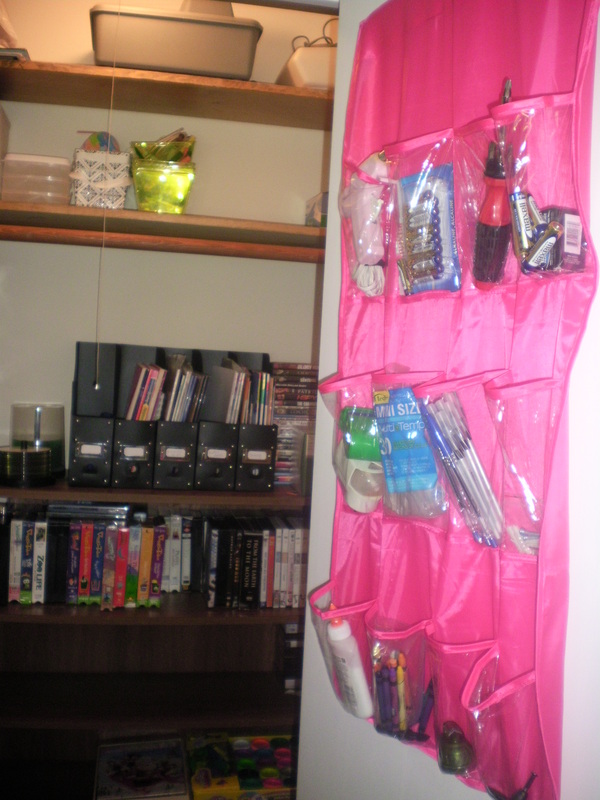 This pink organizing beauty i bought in the dollar section at Target months ago for $2.50. sure wish they had had more! 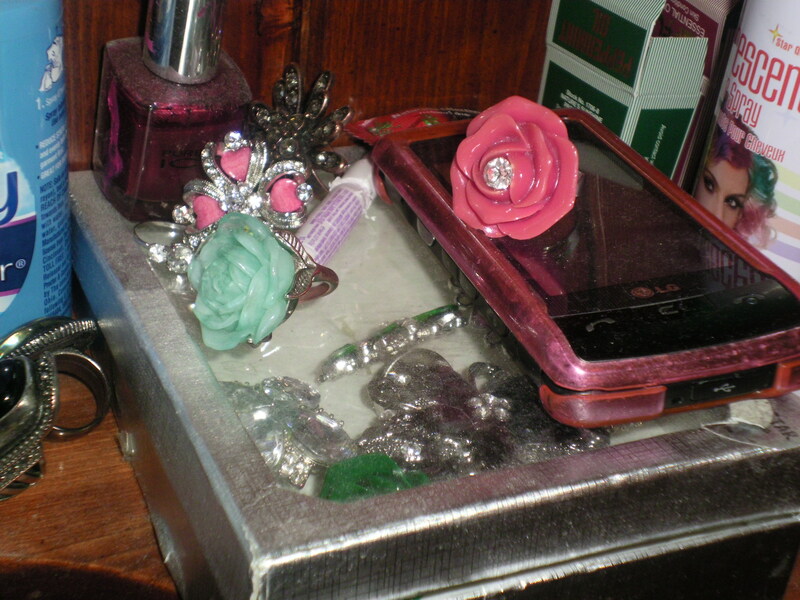 I use it for knick knacks, batteries, pens, paint brushes, scissors, small glue gun, etc. Hanging shoe organizer: $9 at Home Depot, may be cheaper at Walmart. Get the clear sided kind! 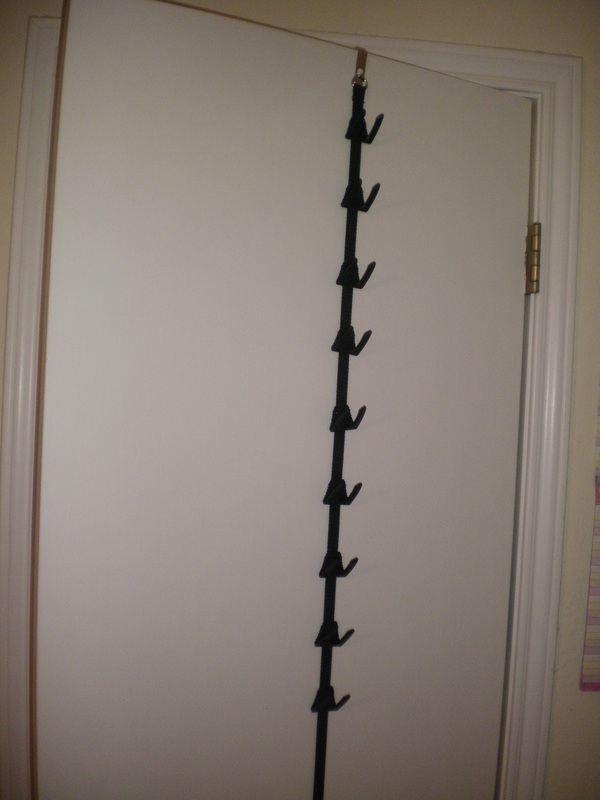 Hanging door organizer: $2.50 at Target in the “Dollar Spot” section. 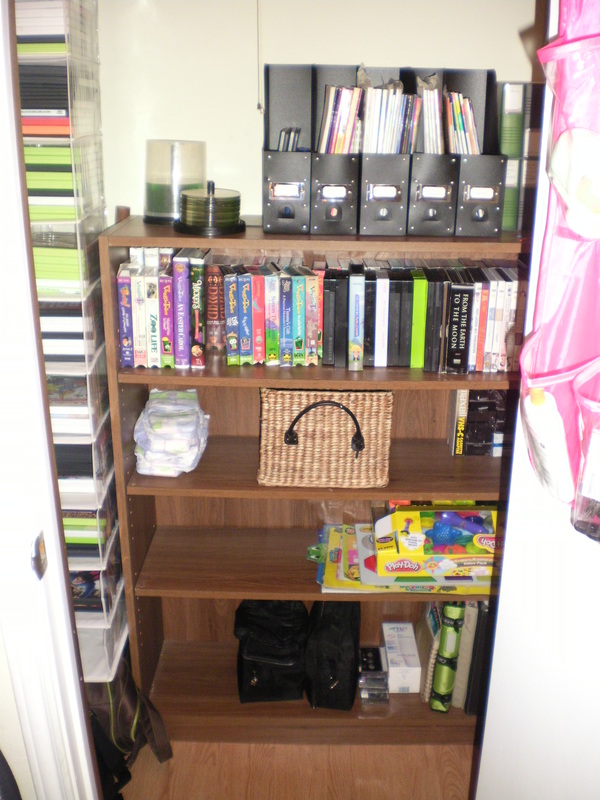 Some other small organizers in the closet were also found in the Target Dollar Spot section. Magazine files and DVD albums were ordered at http://www.abcdistributing.com for around $4 or $5 a piece. The Magazine files came as a set. So there you have it! Three finished projects that brought a lot more convenience, order, and peace to my life. I hope this was helpful, or at least entertaining how messy a house can get! ha! I love order, so I’m glad we’ve managed to get some more. 🙂 Have a good weekend! !